Beaches, rocky cliffs, rolling hills, and towering mountains are the perfect backdrop for hiking, mountain biking, climbing, and every kind of water sport imaginable! Picturesque villages, medieval castles, and lakeside promenades – Lake Garda is a gem among European lakes. This diverse landscape has some shores lined with beaches, and others with rocky cliffs, with rolling hills and towering mountains beyond. The largest lake in Italy, and just a few short hours south of the Dolomites, Lake Garda offers unparalleled scenery and waterfront luxury combined with mountain vistas! Known for its clear water, Lake Garda is known for its great swimming, windsurfing, and sailing in summer. But not unlike the Dolomites, the area features plenty of opportunities for hiking, climbing, and mountain biking. As a classic "lakes and mountains" destination, Lake Garda has a fabulous range of hiking available. Stroll between villages amidst vineyards, or take strenuous hikes up peaks that tower above the northern part of the lake. Looking for something in between? Ride the cable car to the top of Monte Baldo (2,218m / 7,277') and hike from there! It has also been called one of the best mountain biking locations in Europe, featuring good networks of trails all around the lake. Ranging from the more rugged, mountainous north, to the small hills and farming areas to the south, there’s something for every level of cyclist here. Interested in rock climbing, you say? The climbing here is world renowned, with Arco, home to the well-known annual RockMasters sport climbing competition, as it’s centerpiece. Add to that – spa and luxury hotels, islands to explore, a treasure trove of outstanding cuisine made from local produce, and stunning views down onto the lake from the peaks above, and you have yourself the perfect holiday destination! 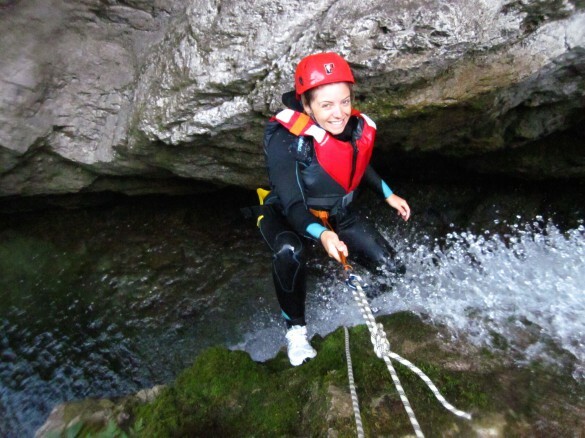 Climb a via ferrata high above Lake Garda, canyon through a nearby river gorge, and mountain bike to a glacial lake, as you explore the beautiful landscape, fascinating culture, and ever present history of Lake Garda on our multisport adventure! 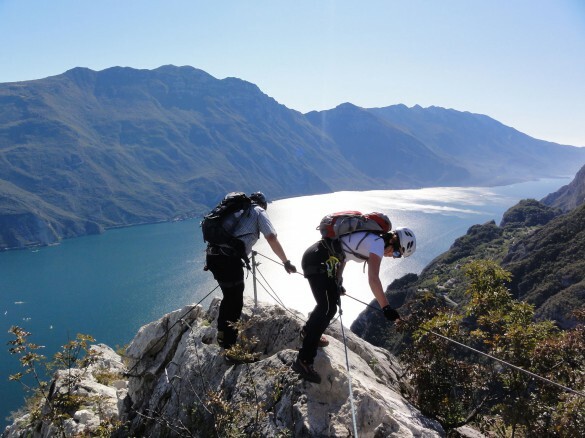 Hike and climb your way high above Lake Garda on via ferrata of WWI, ascending a different challenging via ferrata each day, and discover the intense blue waters of Italy’s largest and most beautiful – yet least well-known – lake from above.